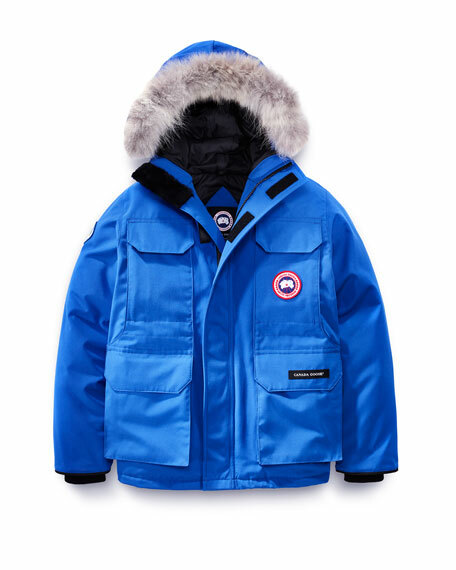 Canada Goose "Expedition" parka in Arctic tech fabric with durable, water-repellant finish. Designed to stay dry in extreme conditions and climates. Features removable, natural coyote fur (Canada) trim at hood. Long sleeves; Polar Bears International patch at right. Four front flap pockets; logo patch at left chest. Heavy-duty, ribbed hem and cuffs.